Well, another move, another kitchen and another update. CH and I have relocated (again!) 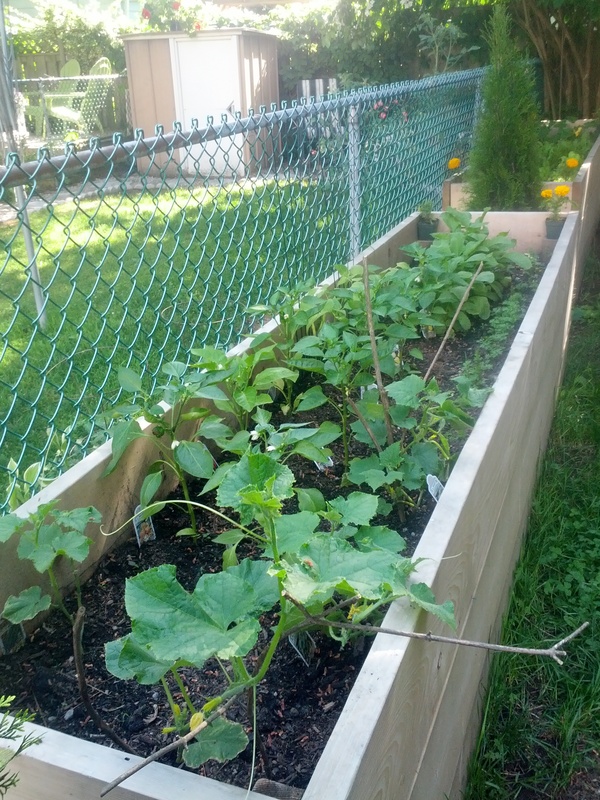 this time to a house, with a yard…which meant one thing for me: a vegetable garden at long last. You see, my Pepere (Grandpa in French) was an avid and amazing gardener. He grew carrots and lettuce and everything in-between and while he was puttering away in the garden, my Memere and I were in the kitchen. So, as you can see, the two things go hand-in-hand for me. I remember sauntering out to the garden and plucking carrots, lettuce and radishes for our salads, peas for a side dish and rhubarb for dunking in sugar (yes, I ate rhubarb straight from the garden with nothing more than a little sugar…). So, when I finally had the opportunity to build a garden, I jumped on it. But, it wasn’t exactly as easy as planting a few seeds and watering. I got this idea to build planter-boxes so that I could start from scratch and ensure I had the best soil and the best growing conditions. 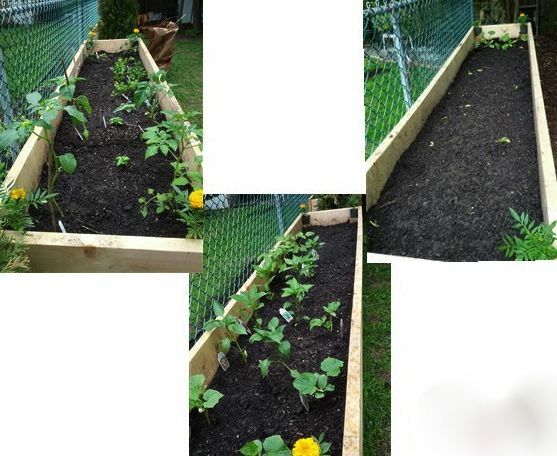 So, onto the web I went and found many upon many tutorials for building my own planter boxes. 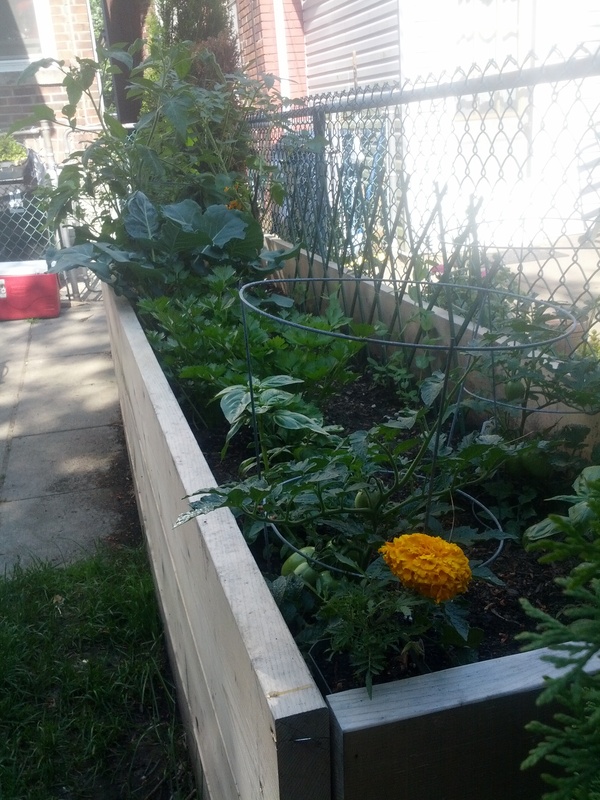 I had a rough idea what I wanted (tall to create a little privacy from next door – after all, we still live in the city so our shoebox yard was the best we could do! – narrow so that they didn’t take up too much room in said shoebox yard and most of all, I wanted them to be as environmentally ‘happy’ as possible). One of the draws for me of growing my own vegetables was to control how they were grown and to reduce the amount of money we spend at the market each week. Ontario definitely has the upper-hand to British Columbia when it comes to gardening. The warm, humid, sunny summers here tend to be great for gardening (or so all my research tells me). So, once I figured I had all the right plans, away I went. My Dad actually flew-out to Toronto for a fun-filled long weekend and helped me build these boxes from the ground-up (although probably questioned my sanity a few times too…wondering if they really needed to be this big!) After hauling all of the lumber and tackling them together, the boxes were in place and ready to be filled with soil. Now, this is where the fun comes in. 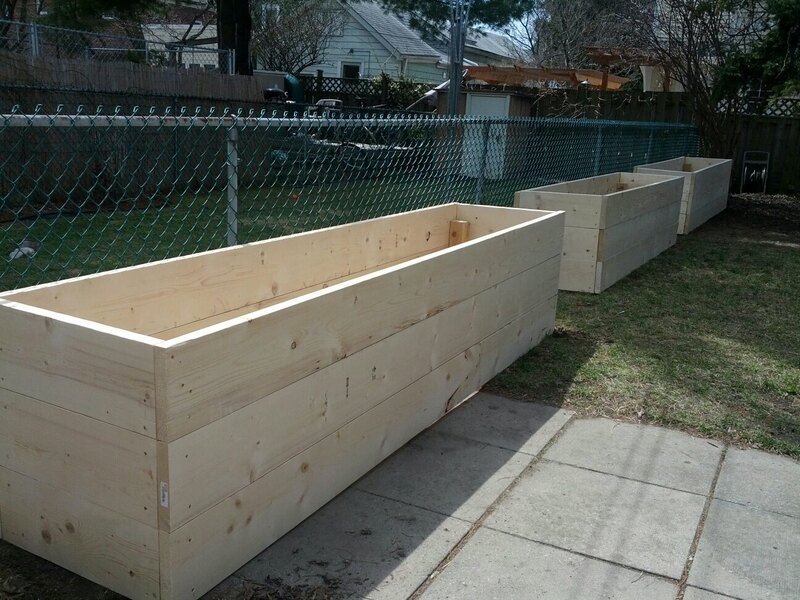 3 planter boxes that measure 2ft wide, 3ft high and 10ft long. That is 60sft of planting space. Do you know how much soil that means….well, neither did I…until I had to calculate it. I calculated it. Recalculated it. 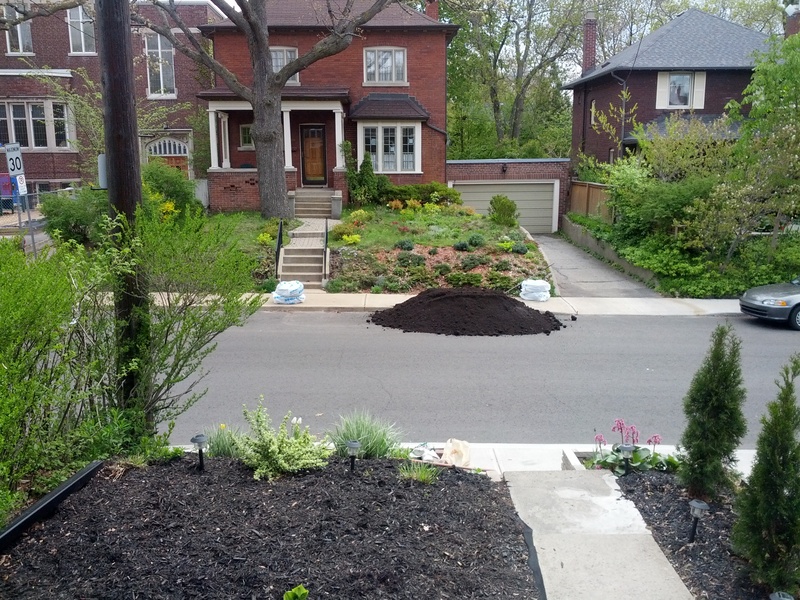 And then said to myself…oh…my….word…4.5 cubic yards of soil. Nonetheless, my amazing husband began the oh 80+ trips from the front yard to the back yard will wheelbarrows full of soil, while I was on either end helping load/unload the soil. A mere 10hrs later, we had moved almost 10,000lbs of soil…(yes, I double checked that figure and no, it is not a typo)…all in a hard days work. Ha. Then, came the fun part (for me)! Shopping for my seedlings and seeds. 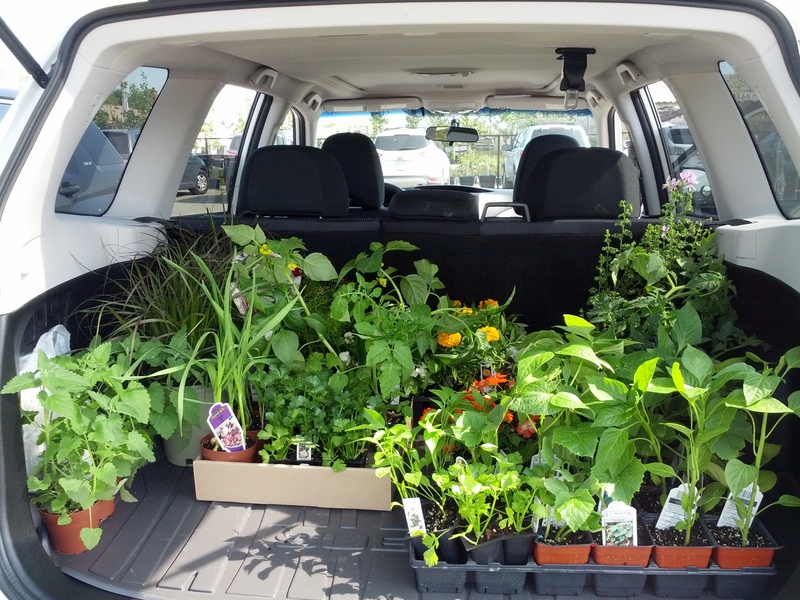 My friend Jane mentioned Richters Herbs so on a beautiful Sunday we spent the day giggling away and purchasing all sorts of heirloom seedlings plants and seeds, whilst enjoying the beautiful weather and great company. I came home and sat-down with my diagrams, my companion planter details and my list of what I had purchased and I designed a blue-print of my boxes. The next morning, I was up early like a kid at Christmas – I couldn’t wait to plant! One by one the vegetables went into their spaces, a few little adjustments, and a few trips back and forth to the hose for water and my garden was planted. 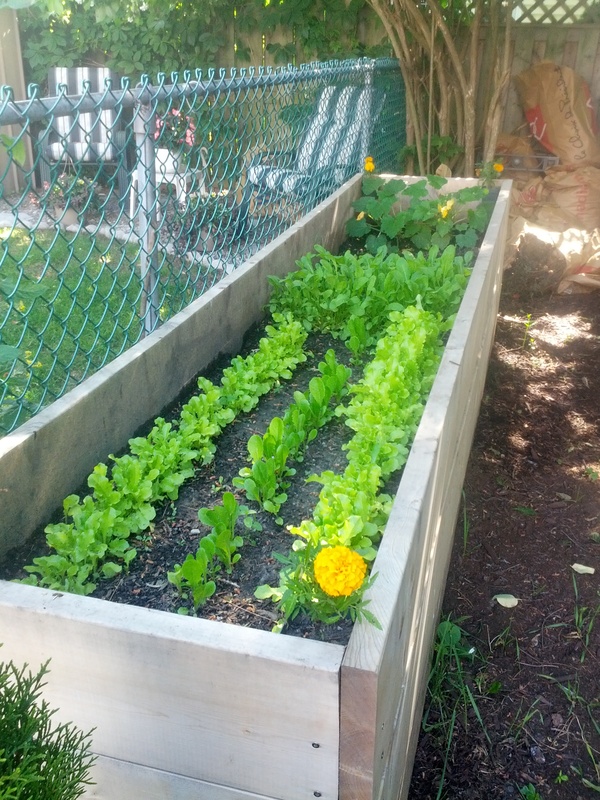 It is now almost a month later and things are really starting to happen…My lettuce and arugula have sprouted well, my tomatoes have buds and have grown a lot, my peppers are flowering and my herbs are happy…but most of all, I am loving every minute of it. 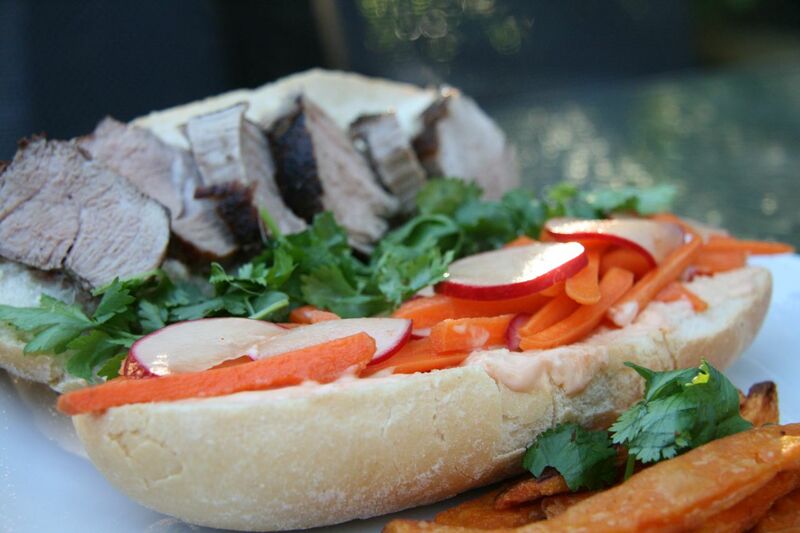 As I write this post, I actually just enjoyed my first radish out of the garden..man those things grow fast! 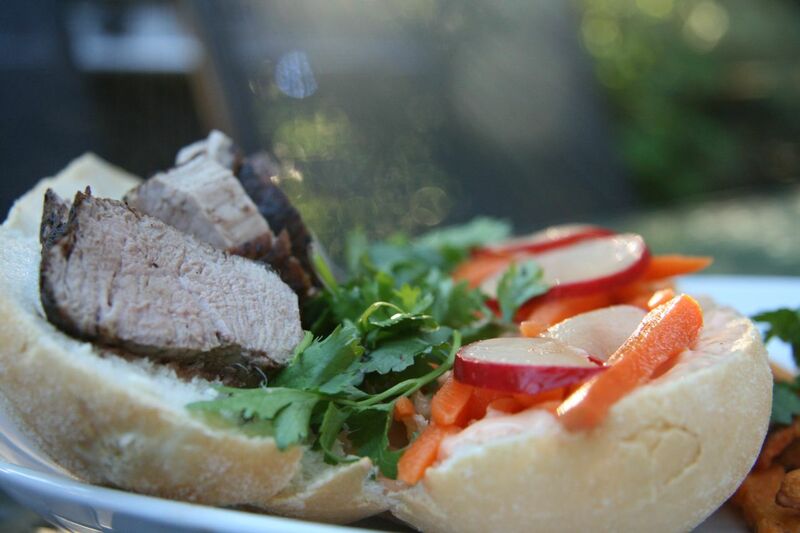 Let’s just say…it’s going to be a great summer full of vegetables…and be prepared to see lots of recipes. Here is to all the sunlight I need and I’ll definitely keep you posted on progress.